You know when you have found, the One. Your heart races. Pupils dilate. There’s a bounce in your step. Find the One, luxury apartment home of your dreams at the Alexan on 8th in Atlanta. Indulge in luxury apartment features of your deepest heart’s desire. Find perfect comfort and relaxation every day. Live in a home that helps you. Share your good fortune with your friends. Treat them to a long weekend of community amenities. Make every second count. 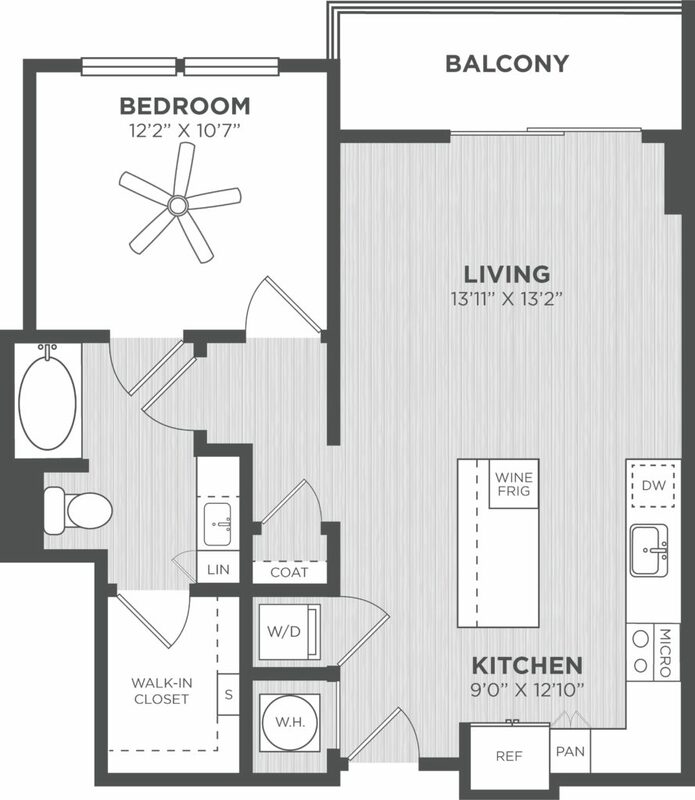 Choose the floorplan and layout that helps you live the life you want. There is also a life worth living just outside your door. Your new neighborhood is filled with your favorite places – just waiting to be discovered. Spend a long day sharing your luxury apartment community with your friends. Spend your night on the town having the time of your life. Everything you ever wanted is here. Live great now. There is a lot of happiness in 765 sq.ft. Choose The Bindle 1bed/1bath and live the life you really want. Step through your door and inside your new gourmet kitchen. Far more than just a kitchen. This is a culinary performance space. Take your palate to the edge of your imagination. Your living area is just beyond your gourmet kitchen and doubles as the perfect hosting space. Delight your friends with the perfect mingle session. Dine, drink, dance, and laugh. Cozier conversations belong on your balcony. This is also the perfect spot for morning coffees and sunsets. But where laughter thrives in your living area, all the quiet hides in your bedroom. Dive into deep ZZZ’s with all your comfy-cozies every night. Morning prep is as easy as rolling out of bed and into your spa bathroom. Perfect for prepping, you’re covered for the office or a long night out. Find the luxury 1bed/1bath apartment in Atlanta that is looking for you. The Bindle is available now exclusively at the Alexan on 8th.